For Boston City Campus & Business College this is indeed a momentous year as South Africa celebrates 20 years of freedom and democracy. At the heart of it all we’ve witnessed the National and Provincial Elections taking place on 7 May. For all prospective law students out there, the only real questions that beg asking are: do you have a well-developed sense of fairness and justice and the willingness to serve people? If this is the case, then a career in law might very well be for you. At the very least, such a career will enrich you with knowledge of the basic tenets honoured by democracy: the acknowledgement and practice of that which is right and wrong, and that which is legal and unlawful. What are the different routes available to pursue a career in Law? The purpose of the qualification is to provide the qualifying learner with a basic knowledge and understanding of the South African legal system, fundamental laws, their application and social context so as to enable the learner to provide supervised support and assistance in a paralegal environment. This qualification provides learners with an understanding of the social, economic and political framework in which our legal system operates. It will also provide learners with the ability to understand the different fields of law and how they affect our daily lives. The Paralegal qualification allows for ability to understand one’s rights and advise others of those rights, as well as the ability to research and identify legal issues and understand how the law deals with these problems. The Conveyancing Secretary course will provide you with a thorough understanding of the legal system and the law of contract. Successful learners will also have a full understanding of all the stages of and procedures involved in conveyancing, as well as an understanding of customer service and dealing with clients. 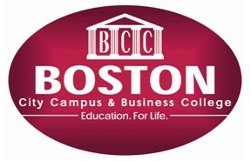 To find out more about the courses on offer at Boston, visit www.boston.co.za, Like us on Facebook, or call us on 011 551 2000. To view their profile on SAstudy, click here.